Evolution (BBB012) is not a theory. Darwin had a theory about the process 200 years or so ago, and we learn more about it as time goes by. Evolution is a process. It’s the process of change in the genetics of a living species over the generations of time. Evolution is one of the four most basic requirements for life and on earth. The first requirement for life is that organic food energy must flow continually through the living thing. If it is a cell or an animal or plant, or if it is the whole living earth ecosystem, it is using organic food energy all the time that it’s alive. Once the organic food energy has been used, it changes into heat energy and cannot be used again for food. The organic food energy for living things on earth comes from photosynthesis in green organisms. Unlike organic food energy, the atoms and molecules of living things. All living things are composed of atoms and molecules and a few other things, and we never run out of these things because of the second requirement for life, which is that these atoms and molecules continue to recycle in the earth ecosystem. Carbon, hydrogen, oxygen, nitrogen. Also carbon dioxide, water, air, waste materials, pretty much every thing except energy recycles in the ecosystem. The third requirement for life is the ability to change when conditions change. Temporary change can happen in some organisms by learning. Permanent changes can happen by changing genetics. A change in genetics over several generations of organisms is evolution. The fourth requirement for life is to balance all the above factors. Life is only possible when all the conditions are in sustainable balance (BBB008 ). You know this in your own body. The kidneys and liver get rid of waste products. The water must stay balanced. The oxygen, carbon dioxide and the heart beat and all the conditions of the blood are maintained in balance because of the processes of your life. This is also true of other organisms, from single cells to the whole living ecosystem (BBB015). Evolution is necessary for two of these requirements of life. Evolution makes it possible for the ecosystem to change over time, in response to conditions, and also it permits the ecosystem to stay balanced when conditions change. Humans also use evolution. If you raise cattle, you use evolution. If you raise corn or wheat or soybeans, you use evolution, just as farmers and ranchers have done since before Darwin and Mendel described how the process works. 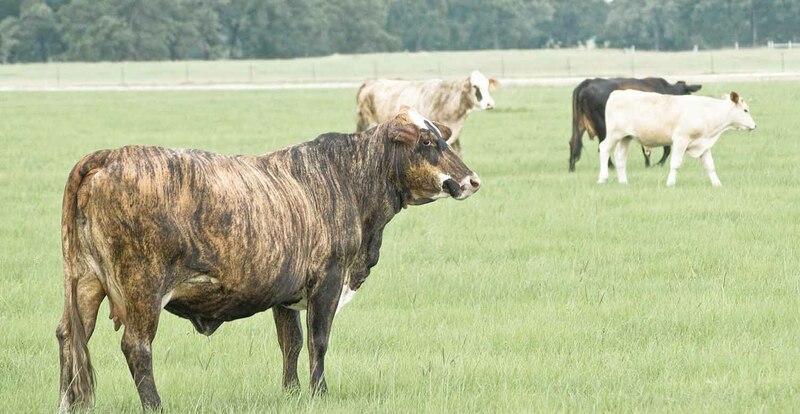 What do you get when you cross red Hereford cows with a gray Brahman bulls? It depends on the genes, doesn’t it. Maybe you get some brindle calves. If you take all the brindle offspring and breed them together, then what do you get? You get more brindle calves in that next generation than you got in the first generation. That is a change in the total genetics of all the calves from one generation to the next generation. That is evolution. All the famous British breeds of dogs, cats, cattle – Herefords, Angus, Ayreshire — all those were created by humans using the process of evolution. The process of evolution requires three things. First there must be genes that cause physical traits. For example, the cow is black because of a gene that can be passed on to the calf. Next there must be variability. 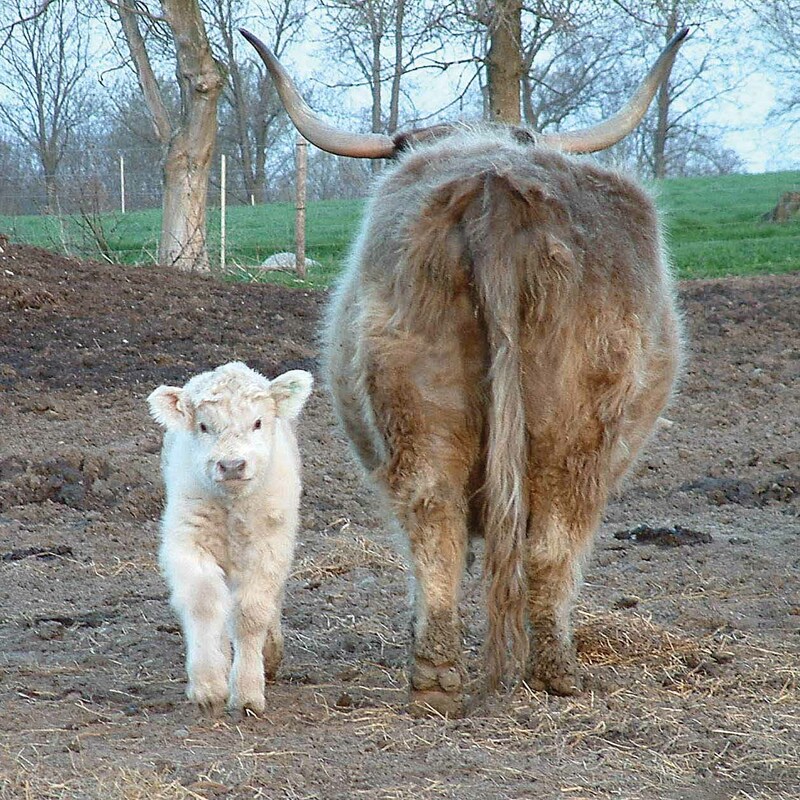 Not all cows are black, and all calves are somewhat different from each other because of the way the genes get mixed around during development of the eggs and sperms. Third, there must be selection, so that some particular trait is more likely to be passed on to the next generation than some other traits. The result is selection for certain genes from one generation to the next, and that is evolution. There is nothing to argue about evolution because there is no doubt. It is all around you, and whatever anyone believes can’t change what is real. You can touch its brindle hide.